The Courtesan’s Book of Secrets is a regency romance packed with intrigue, suspense and a whole lot of heart break. Rafe and Cornelia are ex-lovers and gambling partners, but they are both convinced that the other abandoned them back in Paris. The inseparable pair were torn apart by more nefarious means, and each have since fallen on hard times. They desperately need to find the register of a now dead courtesan if they want to secure their families’ safety. To find the register, though, they’ll need to trust each other, something that doesn’t come easily to these gamblers. Rafe taught Cornelia everything she knows, but she’s since become an independent woman. She doesn’t trust anyone, especially not Rafe, and is convinced she can use the register to save her brother, but more dangerous forces make it clear this isn’t a game she can play alone. Rafe knows that Cornelia can handle almost everything, but despite their history, he can’t let her be hurt. He needs the register for himself, but protecting Cornelia becomes his top priority. One of my favorite things about this couple was that their romance, and even friendship, is one of such mutual respect. They might not trust each other, but they respect and admire each other completely. There’s also no denying that these two still love each other, despite their past of betrayal, and their sexual tension is burning hot. While I tend to prefer romances which begin with the meeting of the hero and heroine, the history of these two made this ex-lovers storyline completely heartbreaking. Throughout the story it’s clear that both Rafe and Cornelia know they love each other, know they want each other, but they also know they cannot be together. The card playing/gambling theme is very strong in this story, and my only complaint is that it sometimes felt a bit excessive. All the same, it’s a good theme that worked well for the plot and characters. Cornelia and Rafe know how to play the game, but they must learn to stop playing each other if they want to succeed. Inside and outside the card room, the suspense storyline kept the twists and turns coming and was woven really well into the romance. 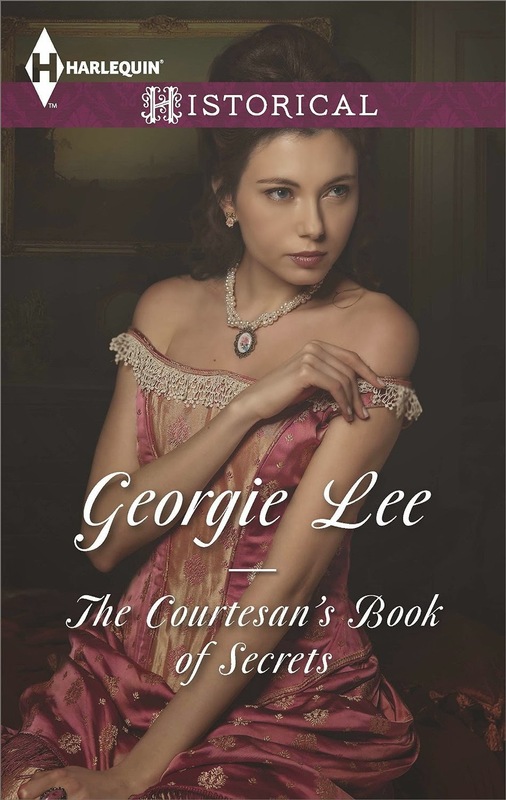 After reading The Courtesan’s Book of Secrets and Hero’s Redemption, Georgie Lee is rapidly becoming one of my must read authors.